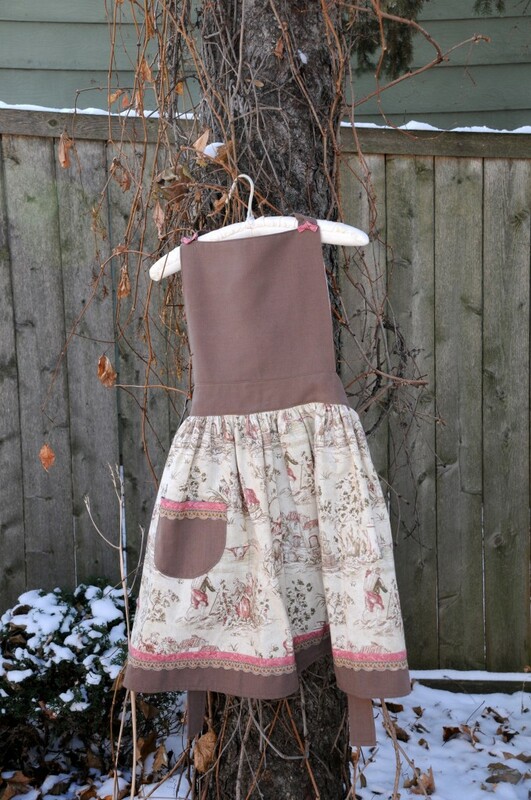 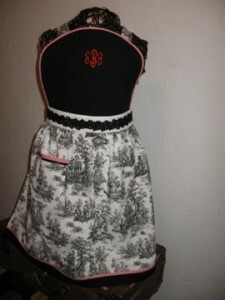 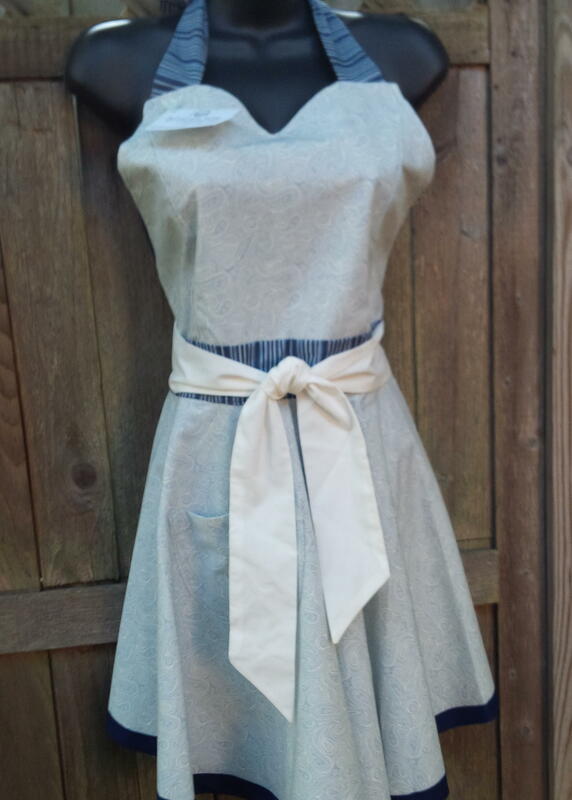 Pinafore style apron with a full, gathered skirt. 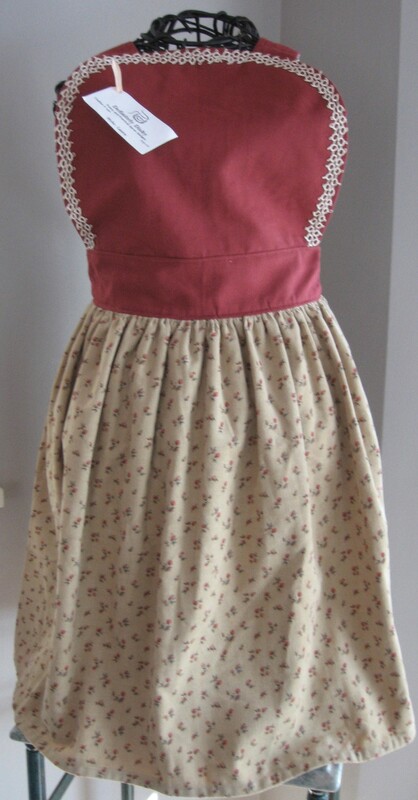 We have recently begun making a new version with a sweetheart neckline and a more swingy, bias-cut skirt! We have a matching apron, Anneliese, for little girls.